Peachtree Publishing Company, 9781561456307, 32pp. Emily Pearl already knows a lot, except perhaps how to ask for help when she's unsure. Emily can count to fourteen. She can write her own name. She can tell what is different and what is the same. And she's quite sure she can do things herself. Not only that, she wants to be the perfect helper for her new teacher, Ms. Glenn. But while Emily is mastering all sorts of skills, she does need a little help herself every now and then--especially at the end of the day, when she's waiting to get picked up and is just a little bit scared. 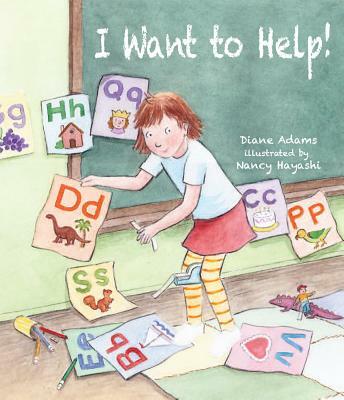 Diane Adams's delightful, rhyming story and Nancy Hayashi's charming illustrations colorfully capture the chaotic ups and downs in the life of a preschooler.